own shoelaces, and too little to ride the big yellow school bus. At holiday time it was even worse. 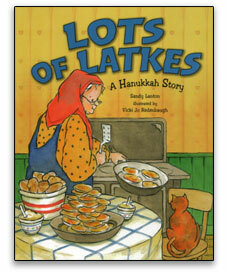 Dad had to lift her up to hang her decorations in the sukkah, Grandma had to help her light the Hanukkah candles, Mom had to put her hamentashen in the oven and she wasn’t allowed near the stove to put her matzoh balls in the soup. Grandpa kept promising that her time would come. 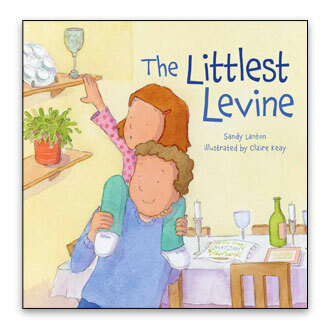 And with his help, she loved being THE LITTLEST LEVINE. When her parents fought, Emily got so scared, she spilled her milk. Her little brother sat in his high chair, held his hands over his ears, and rocked back and forth. As the fighting continued, Emily hid in her safe spot under the dining room table. A few days later, the family sat in the living room and Emily heard the word “divorce” for the first time. After Daddy moved out, Emily got angry, then learned that having a “Mommy House” and a “Daddy House” was OK—even fun—and they were “STILL A FAMILY”. 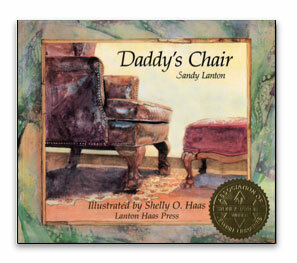 Daddy's Chair by Sandy Lanton, illustrated by Shelly Haas, is a tender book, for children ages 4-8, that handles the death of a young parent with great sensitivity, focusing on the theme of remembrance. Little Michael at first denies his father's death and refuses to let anyone sit in his father's chair, but later he becomes reconciled and finds comfort in the chair. A well-done book on a difficult subject. 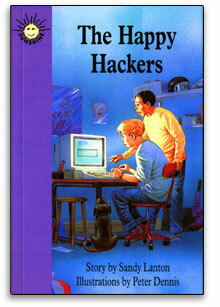 The Happy Hackers by Sandy Lanton, illustrated by Peter Dennis is about a boy who uses his computer to set a trap for a thief. 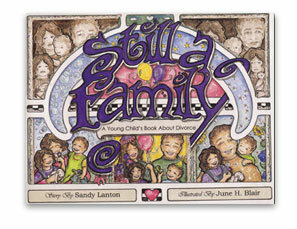 The main character is in 8th grade, but it is written at a 4th grade level for "reluctant readers" and ESL students.